Wow — it is back. It’s been awhile, yes. Today’s and tomorrows post will be similar, tomorrow I’ll cover Fall 2011. It will be very short as I have midterms to worry about. Regardless, I hope you enjoy what was my favourite Anime of Winter 2011. 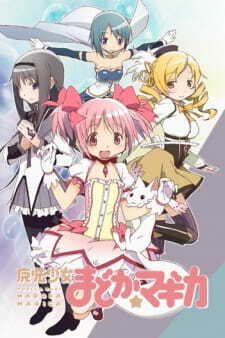 Number #1: Mahou Shoujo Madoka★Magica. Genres: Psychological, Drama, Magic, Thriller. To me, I do not think this is really worth explaining as the Anime speaks for itself. For being an original Anime — meaning it’s not an adaption of a light novel or manga. It did one thing, and one thing only; that was set the standard for Anime. Especially for magic Anime, with stunning visuals, action scenes and most importantly, a great story. It’s no question why Mahou Shoujo Madoka★Magica is one of the best Anime out there and will continue to do so for a long time. I love this Anime. I love it a lot. What really pulled me into Hourou Musuko was the main characters. The fact that this story is about the LGBT and the realities they face and hardships they have to face to be not only be accepted by the friends and family but also by society — really speaks to what is happening today. Ah, nothing like a good romance Anime to cap off this list for today. What really pulled me in was the mystery part of the Anime — I thought that was really cool and very entertaining for me. Not to mention, it’s a romance Anime and I’m sure you all know by now I am a sucker for romance Anime. I agree with you on Gosick and Madoka. Haven’t seen the other one but will try to schedule it.